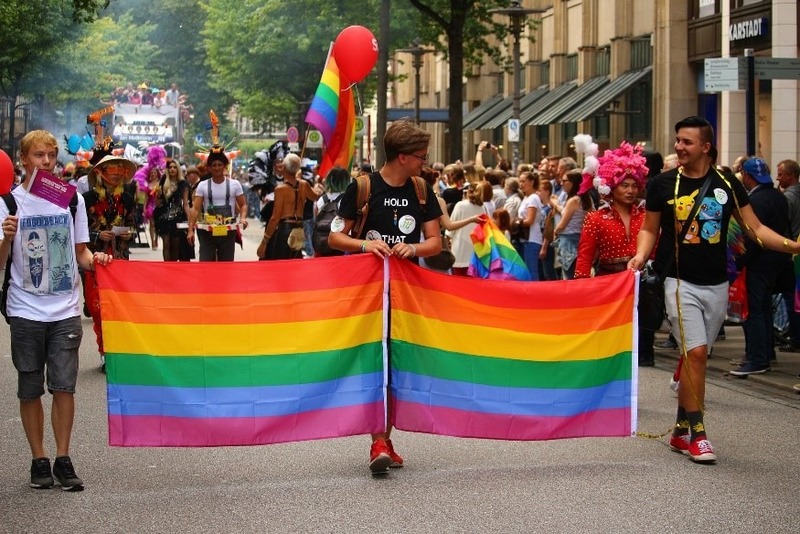 Every June, the world comes together to celebrate LGBT (lesbian, gay, bisexual and transgender) Pride, with parades and festivals extending into July. This dates back to 1969, with LGBT communities holding demonstrations against acts of violence, and encouraging gay people to come together without fear of being themselves and being arrested for it. Now, it’s celebrated in major cities worldwide, with Pride a place to celebrate, wave a rainbow flag, and be proud of who you are. This symbolic flag, and symbols of activism such as badges and stickers, have played an important role in the movement. How Did the Rainbow Flag Became a Symbol for LGBT Pride? It’s the most widely recognised LGBT symbol in the world, but did you know how it came into being? The original rainbow flag was created in 1978 by Gilbert Baker, an American artist and gay rights activist. He had been requested to make the flag by politician Harvey Milk, for the Gay Freedom Pride Parade in San Francisco; and from that moment on, the rainbow flag became a symbol for LGBT Pride. By 1979, pink was dropped because the dye was too expensive; and turquoise and blue were merged to form a royal blue, becoming the six colour rainbow flag that is recognised worldwide today. However, it’s not just rainbow flags that have become a symbolism for LGBT rights. People across the world use other rainbow-emblazoned objects such as stickers, badges and signs to show their support too. The badge has its origins dating back to the 19th century, when the first one was created by Benjamin Whitehead, and they were hugely popular at Queen Victoria’s diamond jubilee in 1897. Since then, badges have continued to soar in popularity, and are widespread to this day. From making political statements, to embracing peace and love; badges play a pivotal role in activism. This includes LGBT Pride. 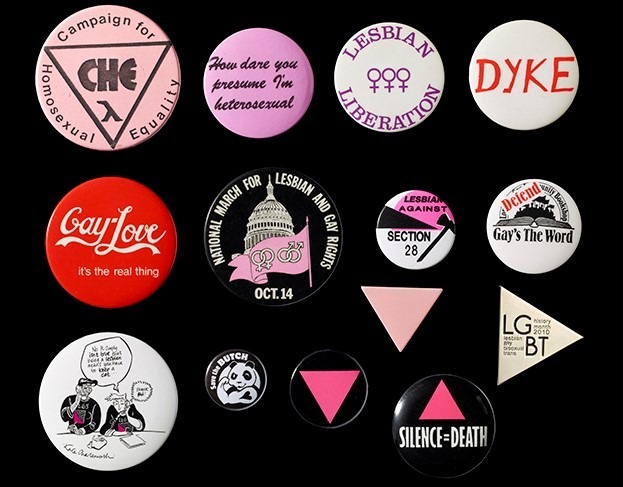 It wasn’t until the 1970s when LGBT badges took off, and it was a way in which people could showcase their support for the liberation movement by pinning one on their jacket; complete with slogans such as “Gay liberation front” and “Come out”. When it comes to promoting activism, successful campaigns and causes come about by actively engaging people, to make them passionate about the cause, and make them feel like they are part of something much bigger. Even wearing just a simple badge can help with this: easily identifying other members who are part of the group, which in turn acts as a larger support network. The 2014 film Pride depicts life as a gay activist in England in 1984, showcasing the story of gay activists working with the miners during their lengthy strike of the National Union of Mineworkers. A claim to fame of ours is that all the badges worn in that film were made using eBadges badge makers! Will you be celebrating Pride this June? Whether you attend a Pride event, or simply wear a badge, there are many ways to show your support and take part in the celebrations. Alternatively, if you want to create some badges of your own, take a look at our range of badge makers, or head on over to our blog for craft related articles, including how to sell your crafts online and at fairs.